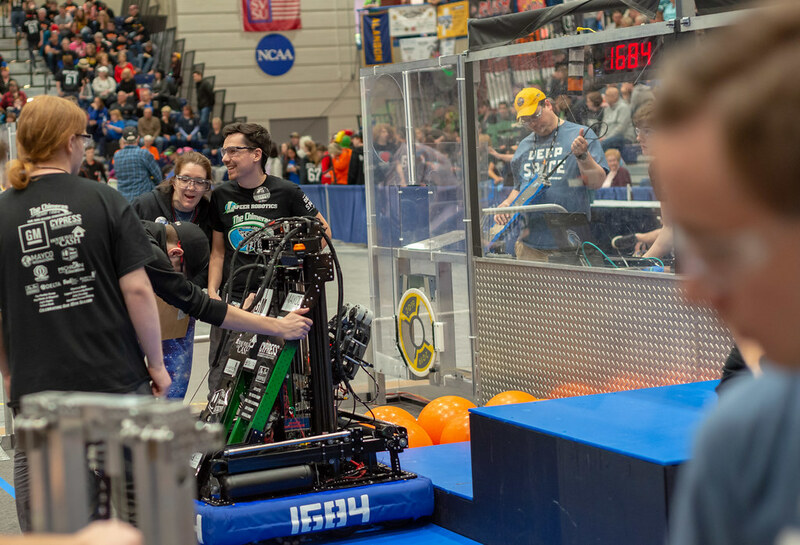 We are very proud to have another Blue Banner coming back to the District, after our Chimeras (Team 1684) won the First Robotics competition in Traverse City over the weekend. 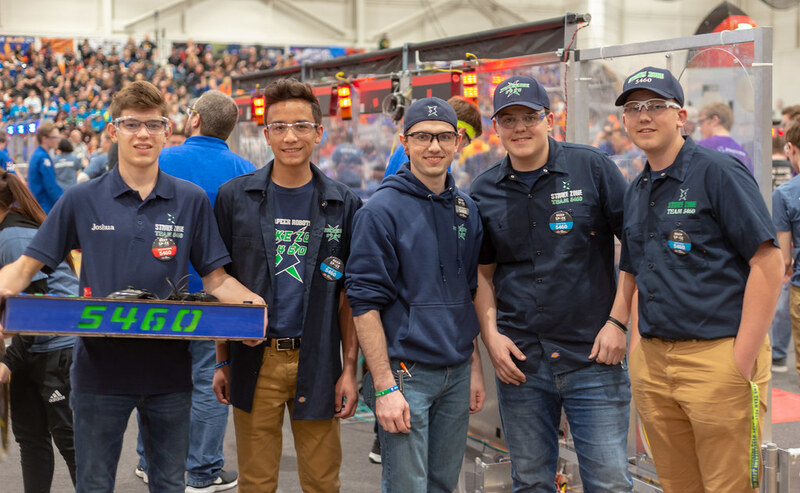 In addition to the Blue Banner, the team also won the Autonomous Award for the programming functions of the robot. The team was ranked no. 1 after the qualification matches and was the first seed alliance captain. 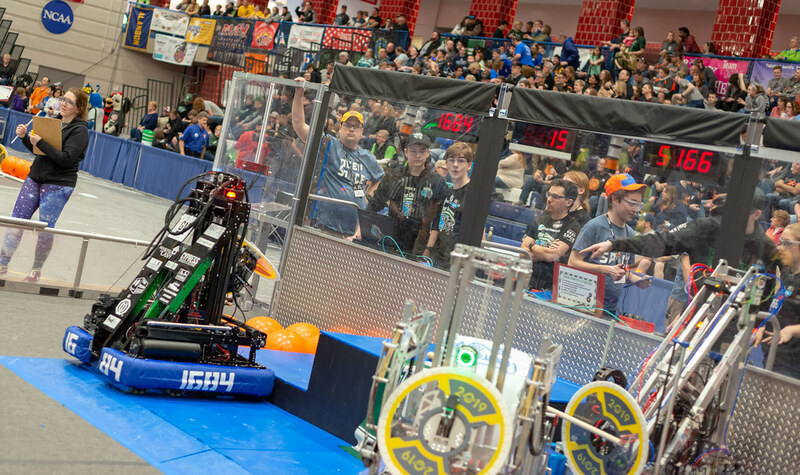 The Chimeras were teamed up with Team 3688, the Norsemen, and Team 7855, Bone Yard. Here’s the final minute of the final match. The team will carry this momentum into the State Championships at SVSU from April 10-13. We will post updates as we receive them on the District’s Facebook page. Congratulations to Coach Uren, our awesome students and everyone who supports the team! Great job!